Womens coat or jacket in asymmetric and double faced styles. 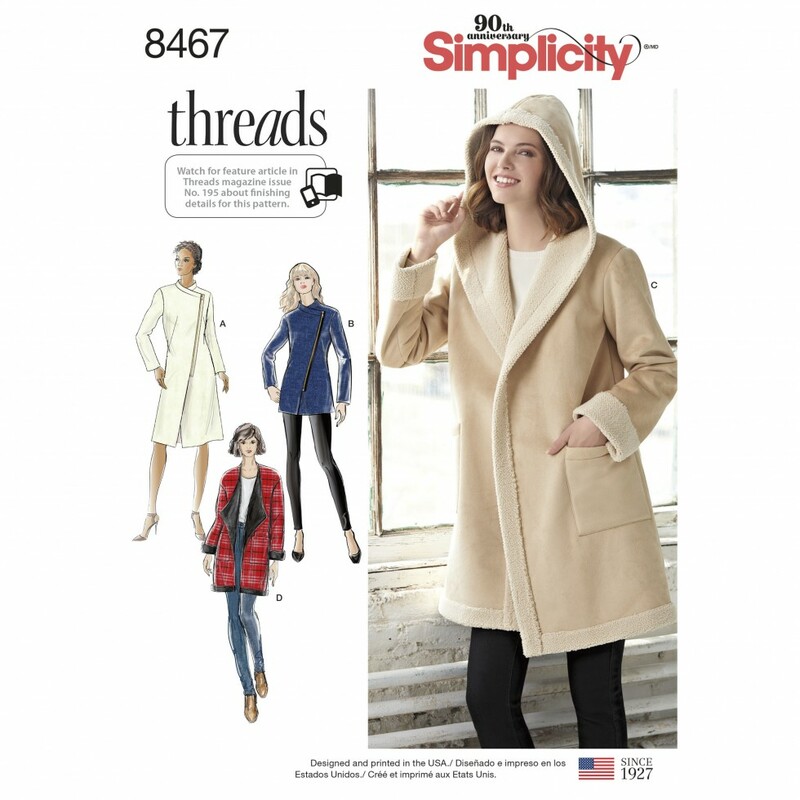 Lined coats A and B work well in tweed or wool and unlined coats C and D sew up great in double faced fleece or Sherpa suede. Outerwear with asymmetrical zipper has standing collar while doubled faced style can be made with or without hood. Simplicity sewing patterns.